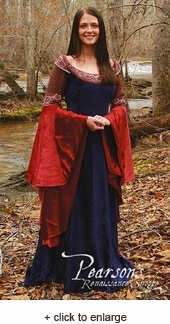 This magnificent, houppelande gown has become essential garb for all real Elven Queens. The regal blue gown with coral sleeves is made of airy cotton velveteen. The narrow sleeves sweep into full red satin below the elbows. All of the rich, elaborate details are hand embroidered with bronze effect yarn. 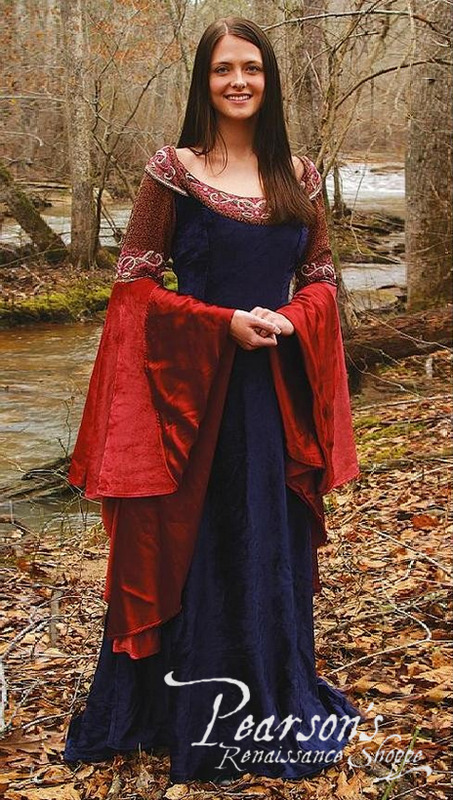 This Elven Queen gown laces up the back and has a splendid train.